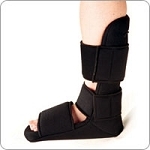 LARGEST SELECTION of discounted Night Splints, Dorsal Night Splints, Night Splint Wraps, Plantar Fasciitis Wrap Splints, Plantar Fasciitis Supports, and Plantar Fasciitis Braces. LOWEST SHIPPING COST GUARANTEED. I previously used a fiberglass split with no exterior padding. My sleep was frequently disturbed during the night, especially when rolling over. Now that I have the Baker 90, it is so soft that I don't even notice it at night. 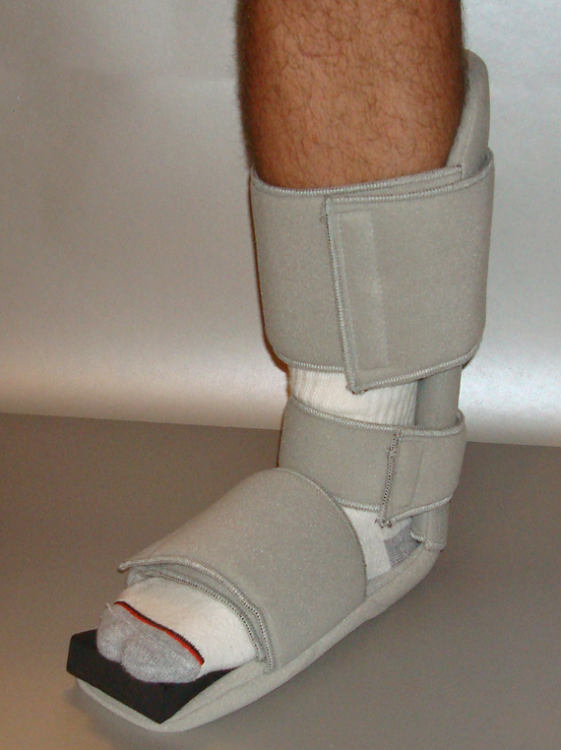 A 90 degree night splint keeps my plantar fasciitis at bay, and this soft splint is the best one I have ever had. 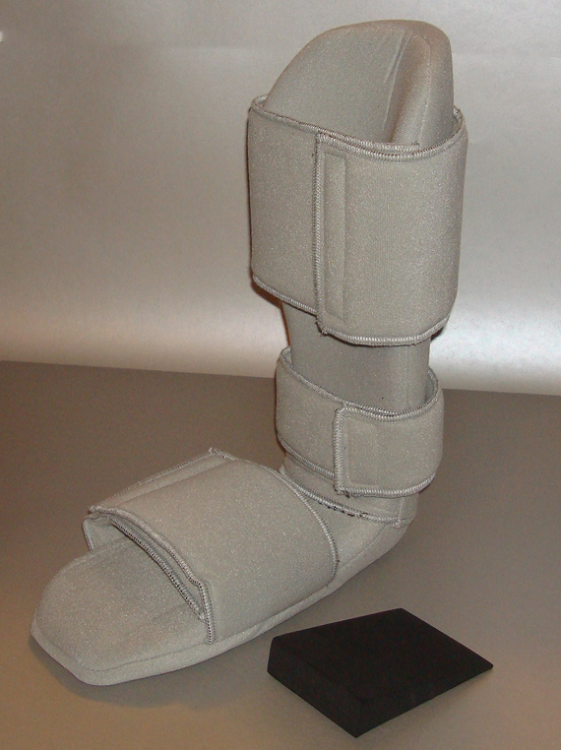 This is a simple, lightweight, yet strong splint that has helped my son quite a bit with his Achilles issues. Well made and comfortable enough for him to sleep with it on. I got this as a replacement for the night splint that I received locally. Although that one was way too pricey, it worked well until the velcro stopped holding it closed. Pros: *Looks good *Price was great Cons: *I think it has some design flaws, mainly the way the heel fits... *and the front strap is back too far. This makes it feel uncomfortable and doesn't make my foot feel supported. 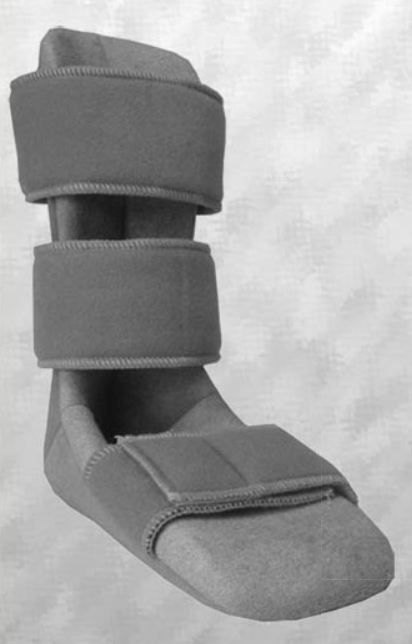 Purchased the Bakers Fixed Night Splint for my son. This item has really helped him rest better and get a better nights sleep. The product arrived in a timely manner, and is quite satisfactory. The size "large" is a bit on the large size for my size 10 foot, but functions well anyway.